High-Performance Protocols RecommendationsBuilding occupants’ behavior affects an organization’s ability to meet its sustainability goals. In typical commercial buildings, occupants are responsible for 50 to 75 percent of energy consumed through their use of lighting, equipment, and HVAC. 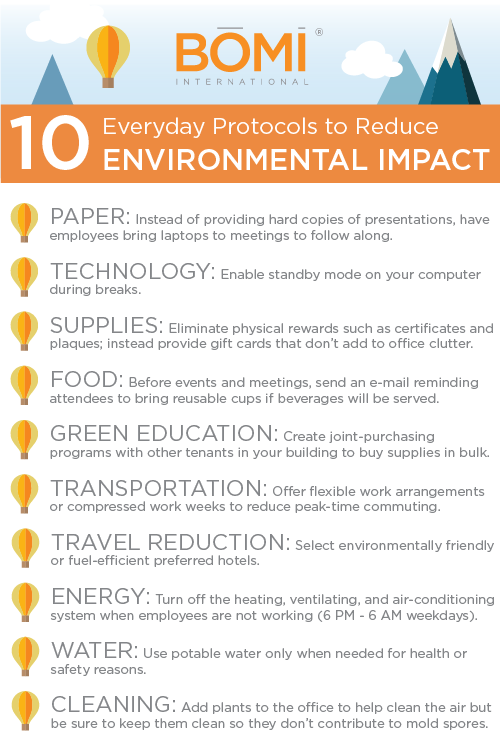 Here are some strategies for reducing the environmental impact of occupants’ behavior. 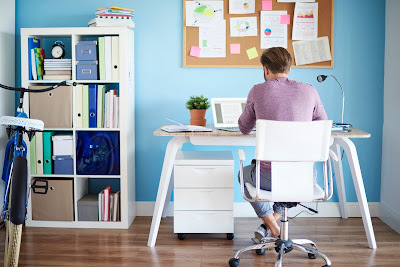 Telecommuting, the practice of employees working from their homes or remote locations, has evolved from a cutting-edge trend to where it is today: an everyday business practice. One facility manager recently said his company designs for no more than 60 percent of employees to be in the office at any one time. Advances in communications and inexpensive virtual networks now enable many people to work from almost any location in the same way they would in an office. Of course, telecommuting is a viable solution only for those employees whose work is portable and can be performed using computers, the Internet, and mobile communication devices. Although telecommuting has become a generally accepted form of working, there are millions more employees who could telecommute but don’t because their organizations do not support it. 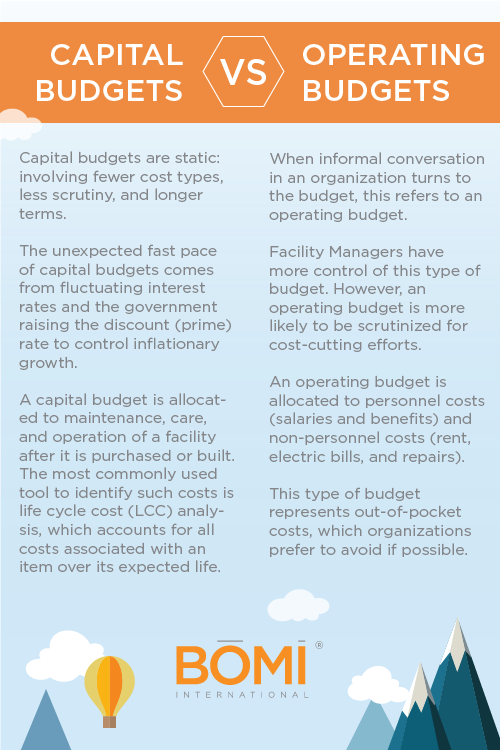 From an accounting standpoint, there are two types of budgets: operating and capital. From a facility management viewpoint, budgets are likely to be categorized by program: for example, maintenance, operations, space build-out, environmental, and security. One of the continuing budget challenges for most facility management and property management organizations is taking the time to define and set rules for annual (or semi-annual) versus capital expenditures. The facility manager should have the capability to manage and track each program in both operating and capital budgets.